USA Import. 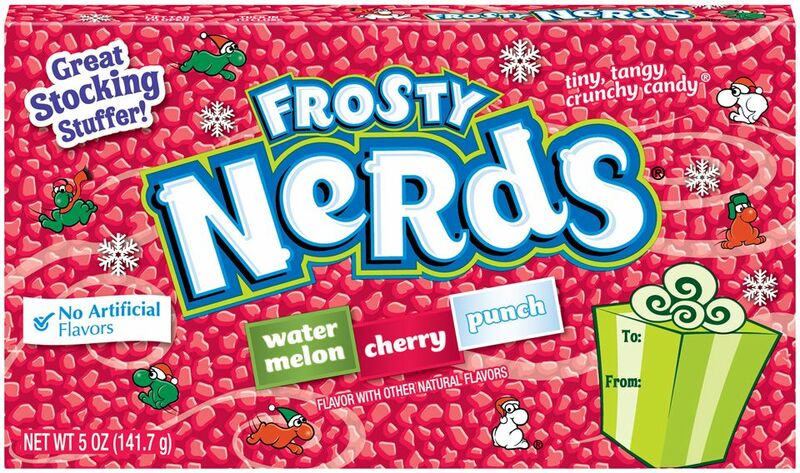 Wonka Nerds, tiny, tangy, crunchy candy. 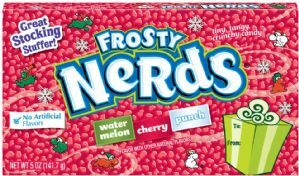 frosty nerds - watermelon, cherry, punch flavour. "inside this scrumdiddlyuptious package you will find mystic and marvelous surprises that will entrance, intrigue & delight you beyoned measure, so don't just stand there with your mouth open. go on. feed your imagination"
ingredients: dextrose, sugar, malic acid, corn syrup, flavouring, carnauba wax, colour: blue 1, red 40 lake, yellow 5.